Brick has always been a classic material used to build houses and structures of architectural value. Bricks when used with sand and solidifying material can create a great pattern and design that inspire awe. For landscaping structure, brick is quite an easy-to-use material and proves to be a durable paving material. The final design you carve out of beautifully arranged bricks can have onlookers stunned in amazement. The biggest pro-offered by bricks as patio builders is that it doesn’t tend to lose it textural attractiveness and colour that sooner. It is considered to be something that possesses timeless charm and it also doesn’t put you under too much pressure of cleaning and maintenance, which is unlike concrete pavers. 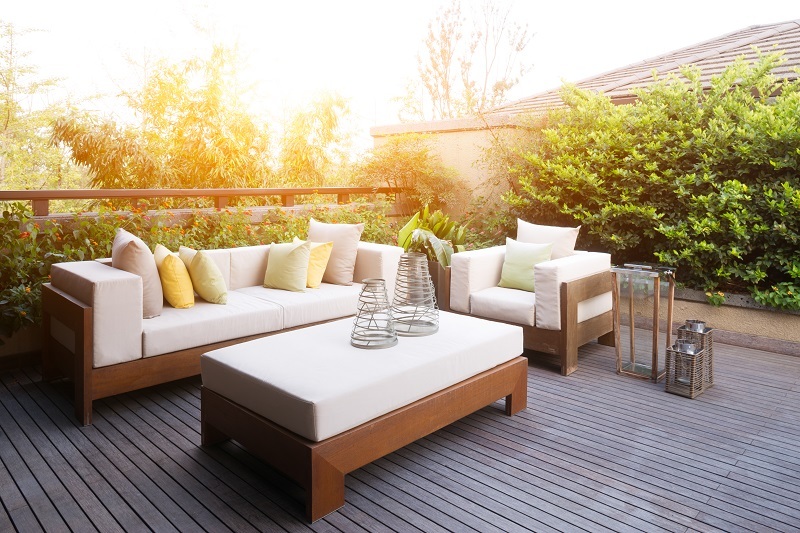 If it is the time for salivating summer barbeques, a patio will be your hot favourite place to organise the soiree with your favourite people. You can spend romantic evenings under the clean, starlit sky and indulge in the savoury taste of barbeque flavours. Thanks to an elegant brick-made patio that enables you to relish such moments. Old or reclaimed bricks are the simplified way to give form to outdoor patios where you can customise your special moments of amusement and joy. Here are all the pointers you should bear in your mind before you call your patio builders to execute the patio building plan. 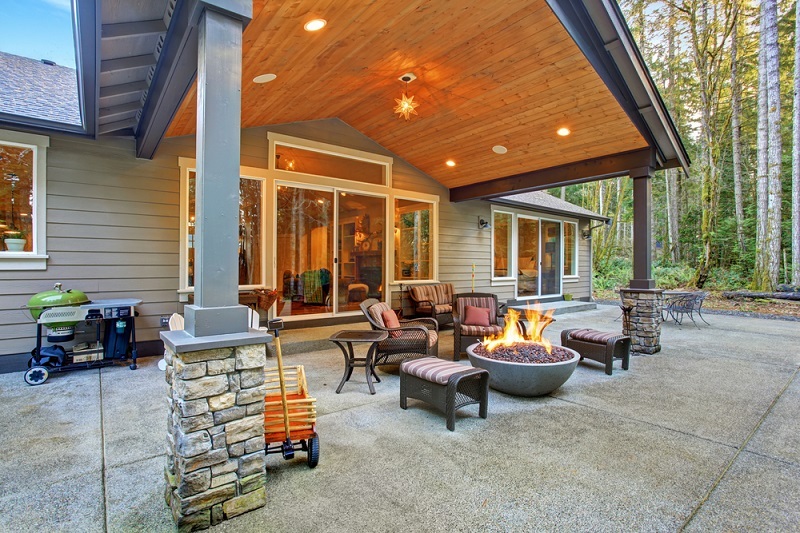 The best place for building a patio is the area from where your house is easily accessible. It should be flat, which is a usual consideration. 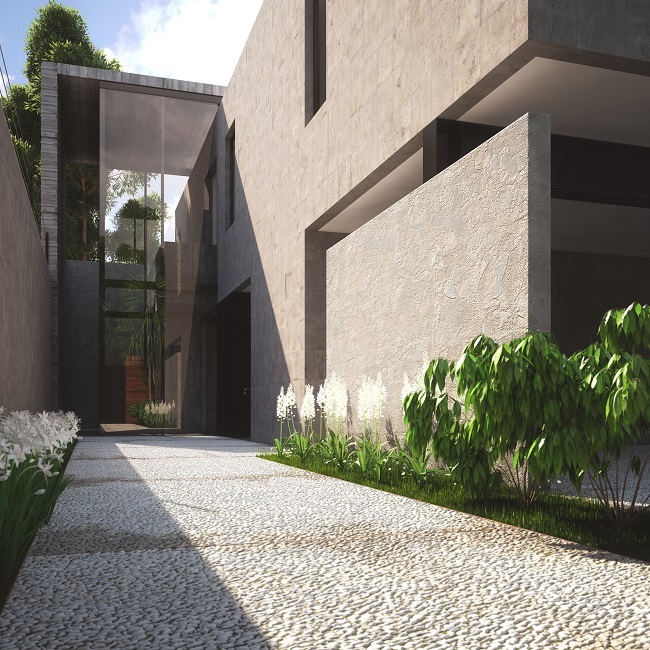 You can also think of having a mild slope a little away from the house so as to avoid water logging in a rainy season. In order to avoid the obstruction of roots, you need to be conscious of planning a patio around those big, sprawling trees. When you have the clarity of where to build a patio, the next thing to ponder is its shape and size. Old, recyclable bricks come in assorted sizes. Many folks choose different sizes and colours of bricks to get the vibrant effect. In a way, this approach also reduces their efforts to cut the bricks. You will need to think about forming the 2-3 inches of the base made of sand under the bricks. Dig up the ground so that you can conveniently house them in the specific arrangement. You can even create a beautiful border by erecting those bricks on the periphery as many patio builders often suggest. If you think of any other alternative of bricks for the construction of a patio, wood comes as an obvious alternative to your mind. However, the truth is, treated or highly processed wood usually releases toxins and contaminates the environment in the surroundings. Wood is also not a durable resource. Instead, reclaimed bricks look natural in its appearance and protect against situations such as flooding and mud formation. Recyclable bricks offer a wide variety of choice in terms of colours and sizes which means you can use your creativity while building the patio. This will enable the whole structure to reflect a look that is unique from the ones found in your neighbourhood. Bricks help you elicit a natural appearance as it is derived from clay and shale. The firing process performed on them enhances its strength and durability. Patio builders believe in the strength and classiness of natural bricks and recommend them highly to homeowners who are curious to see their patio make an elaborate home style statement. Due to the detailed heating process involved in the making of bricks, they are inherently durable and do not depend on sealer for long life. Due to high grade and durability, you can be sure they are going to outlive any other material used for building the patio and beautify the outdoors of your house for decades. Previous articleWhat are the Advantages of Hiring Concrete Delivery Companies?